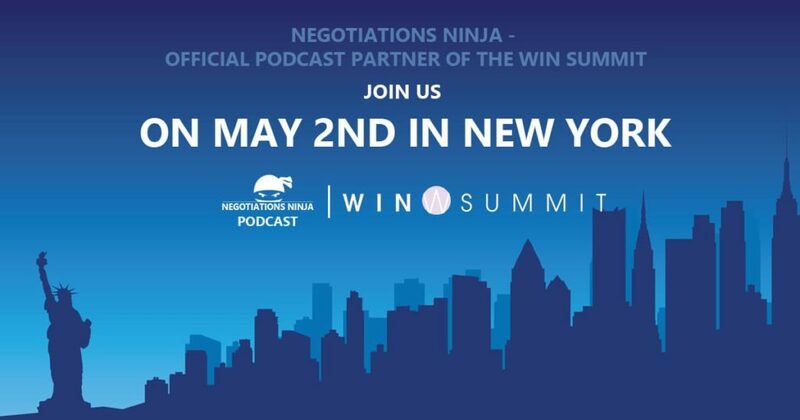 I consider the The Women’s Insights on the Art of Negotiation Summit (WIN Summit) to be one of the most important conferences around today. I believe that empowering women to become better negotiators is noble and critical work. For too long women have borne the impact of a system that does not encourage or enable them to move forward. I am proud to be a very small part of a conference that is attempting to remedy that. Additionally, I’m looking forward to further developing and refining my own skills and listening to world-renown industry leaders, professors, and thought leaders share their wisdom on negotiations. ​With presenters like Beth Fisher-Yoshida, Carol Sankar, Samantha Saperstein, Jennifer Schecter and Lydia Frank, I’m confident that I’ll be getting an awesome education and having a great time too. If you’re interested in learning more and you think that maybe you should attend, don’t contact me, just reserve a spot and come.